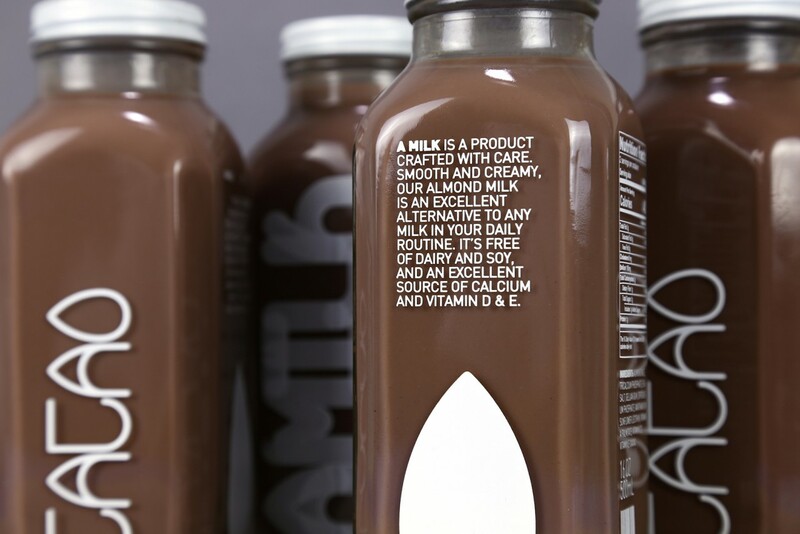 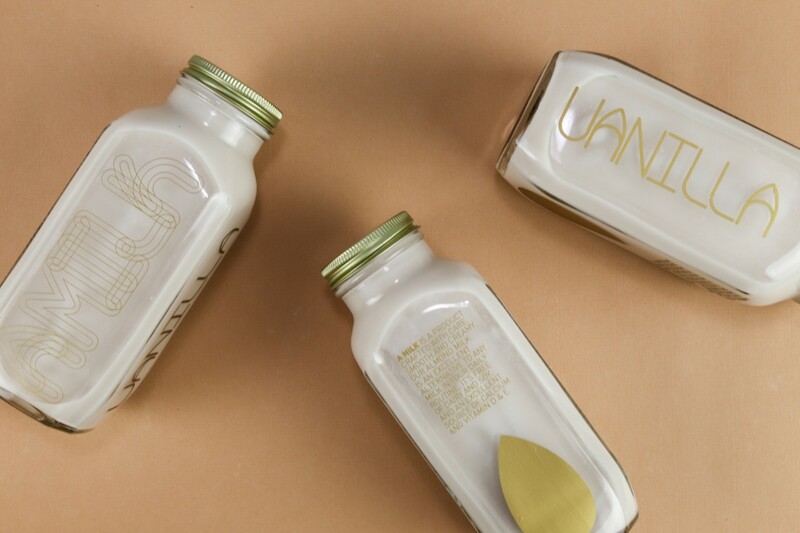 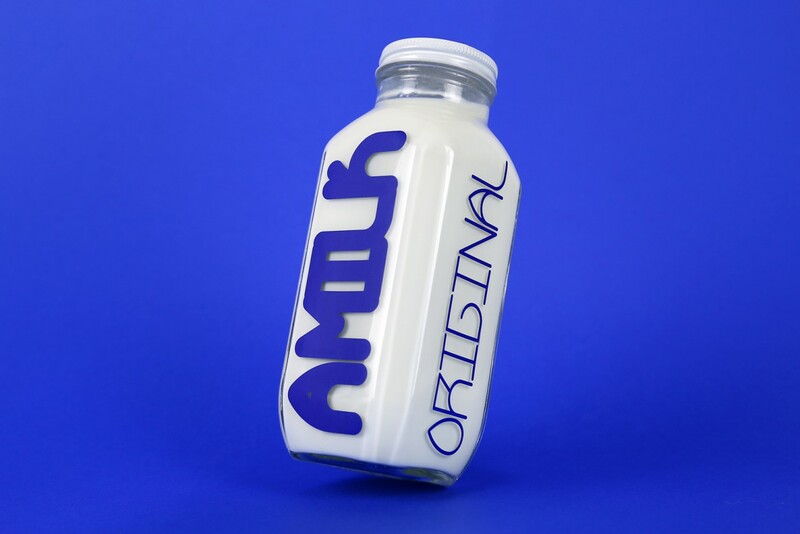 AMILK is an organic almond milk brand that offers a fresh take on this beloved drink. 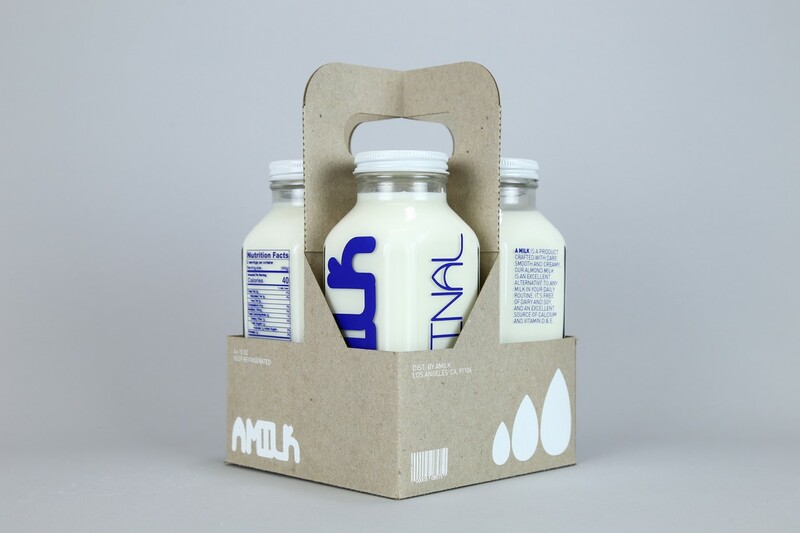 AMILK is a product crafted with care. 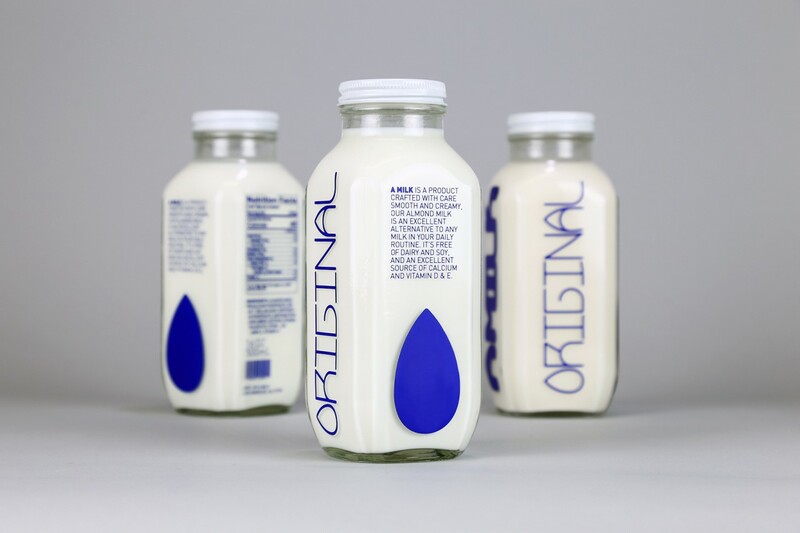 Smooth and creamy, our almond milk is an excellent alternative to any milk in your daily routine. 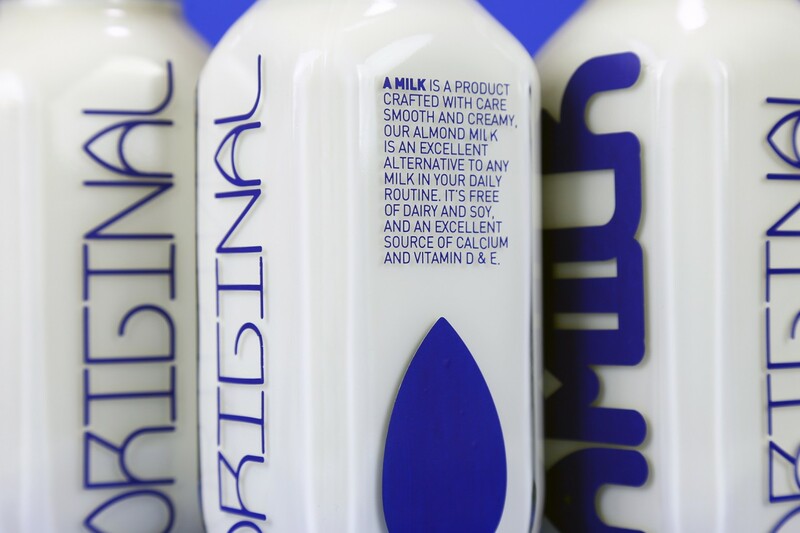 It's free with dairy and soy, and an excellent source of calcium and vitamin D & E.
We started by studying the key ingredient, the almond. 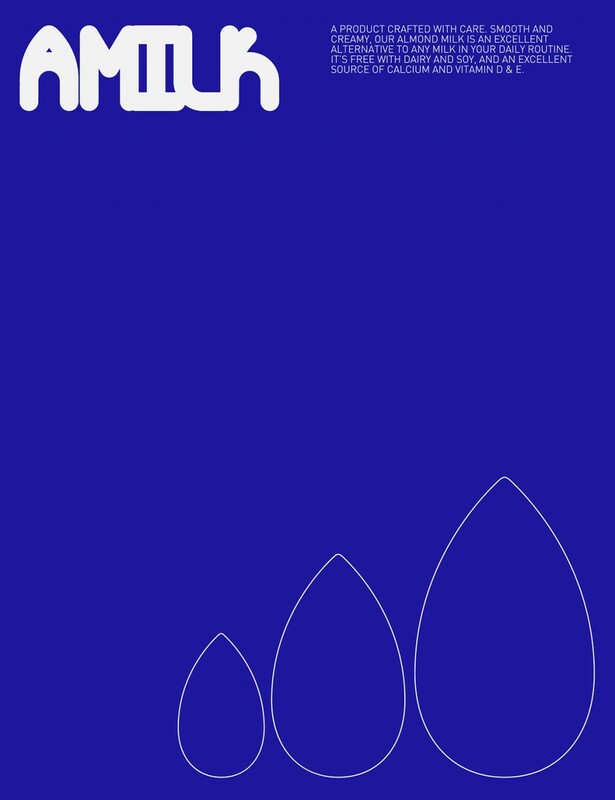 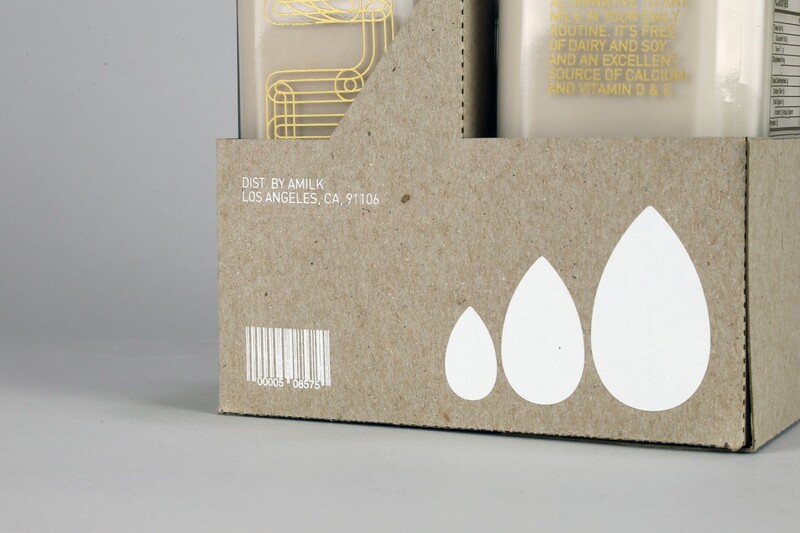 Its universally recognizable shape gave us visual cues for our design process. 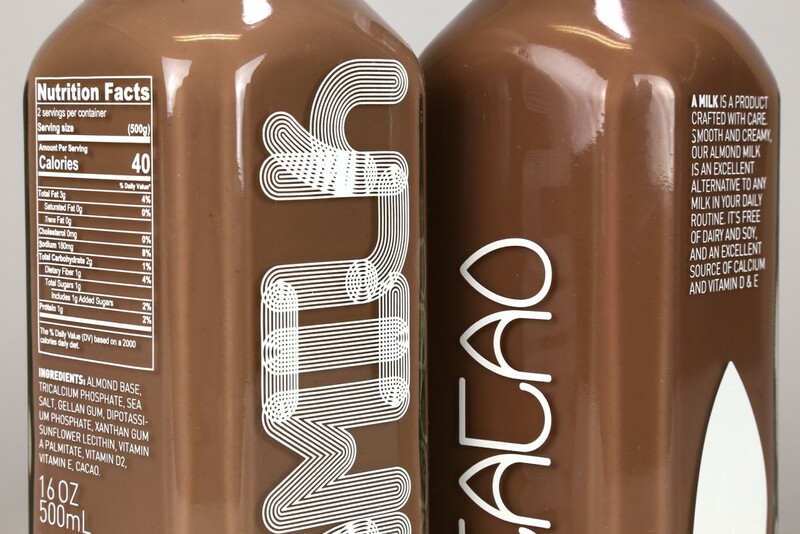 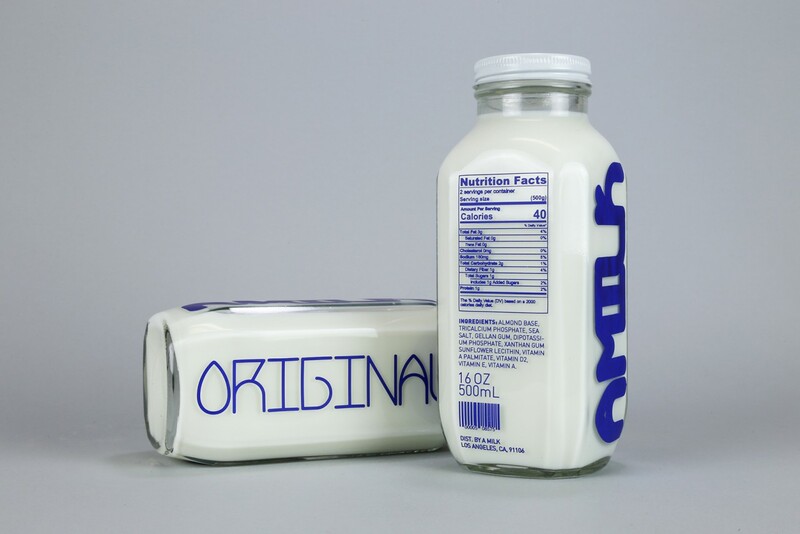 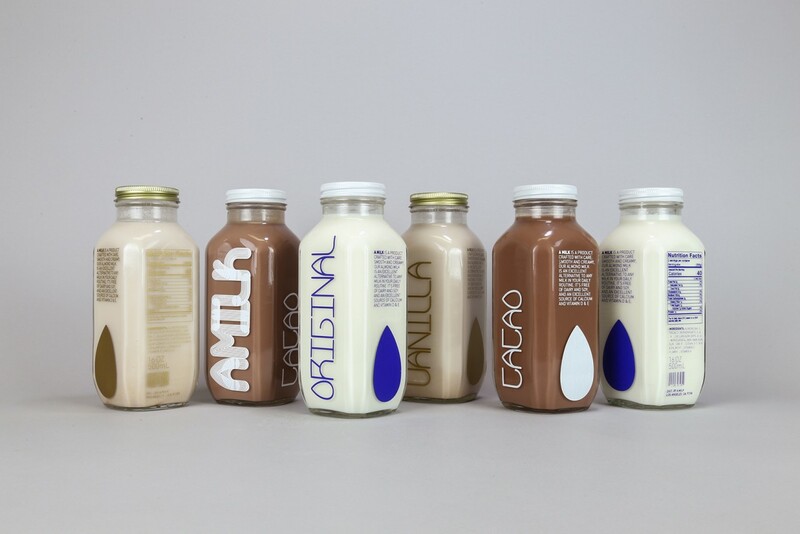 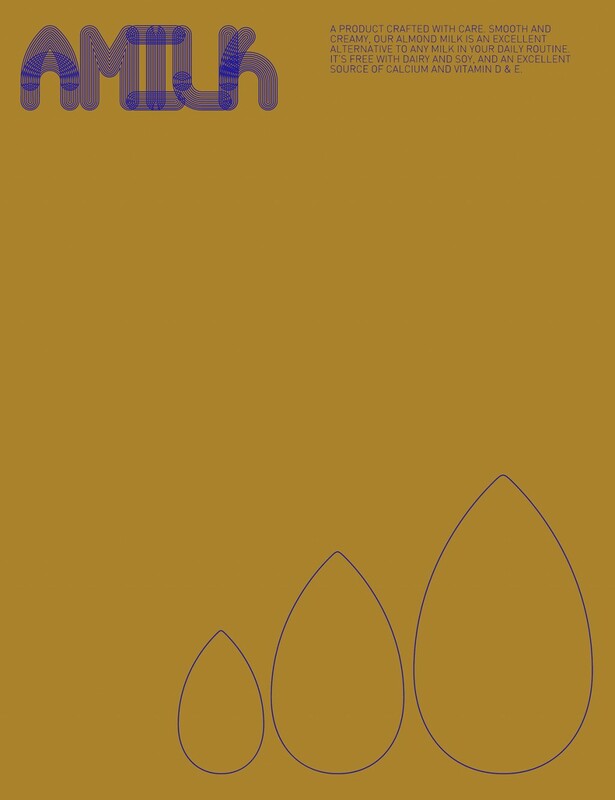 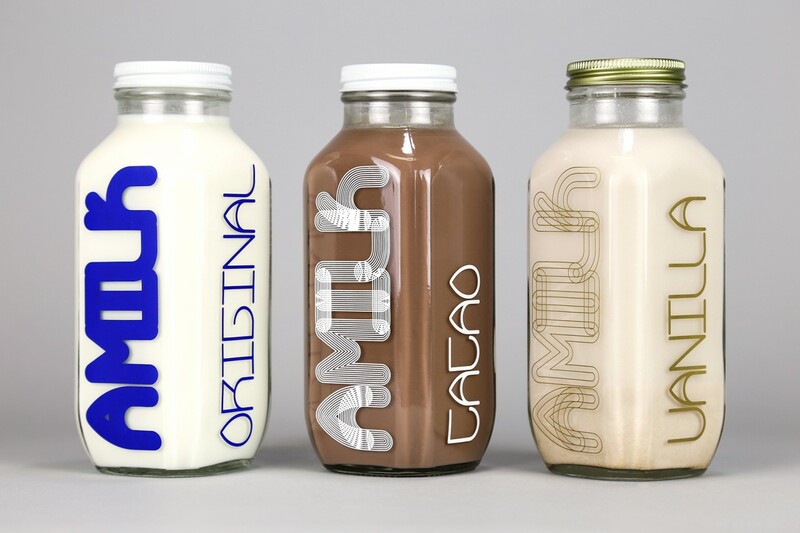 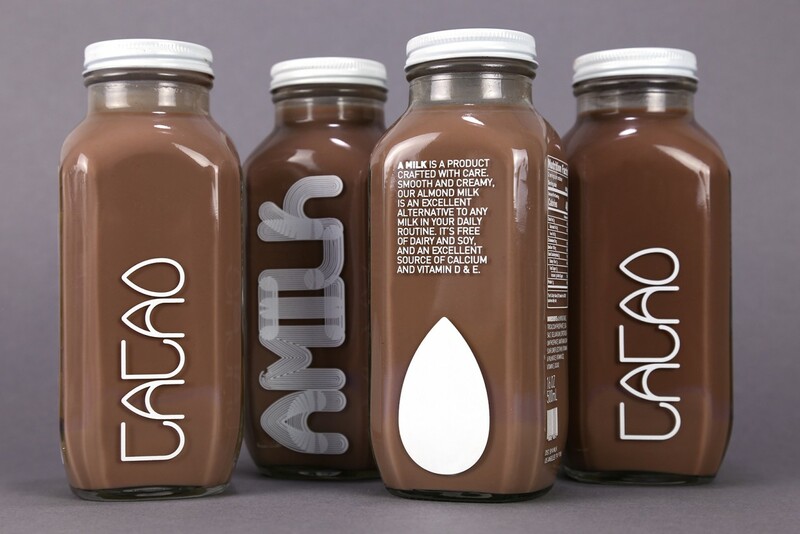 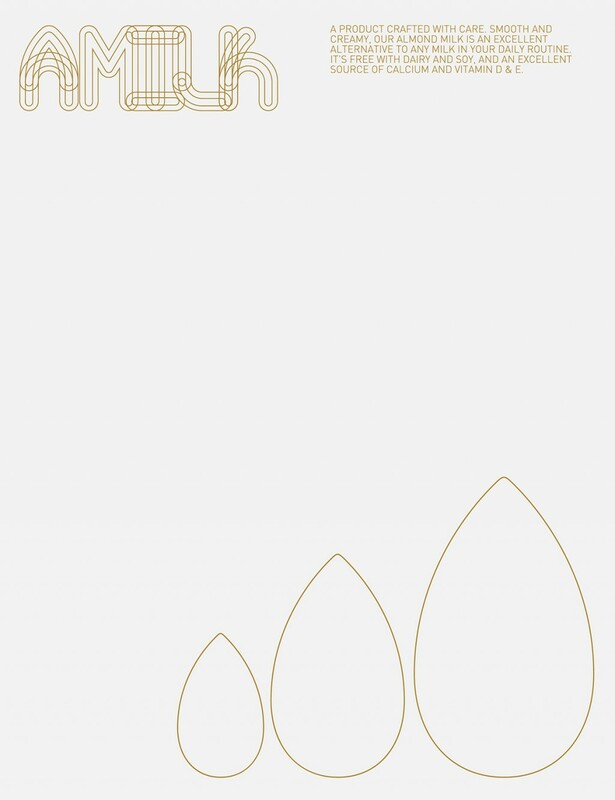 AMILK’s logo is typographic solution, taking advantage of the geometric quality of the almond shape. 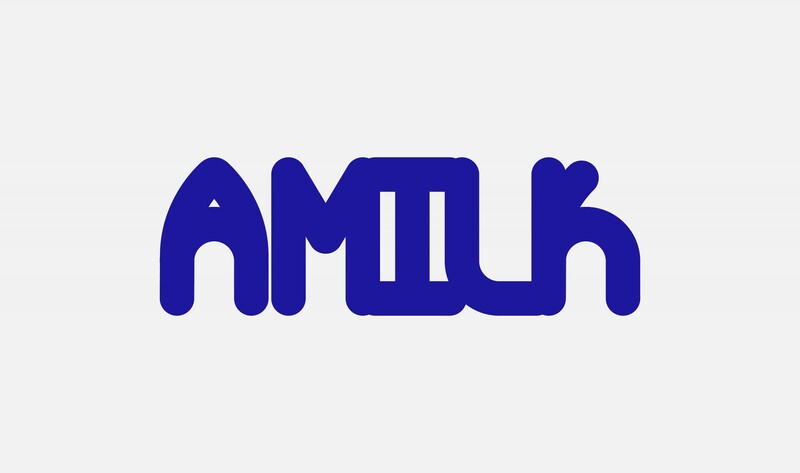 We also created a custom typeface for the AMILK's visual identity, DD—ALMOND, making this brand stand out. 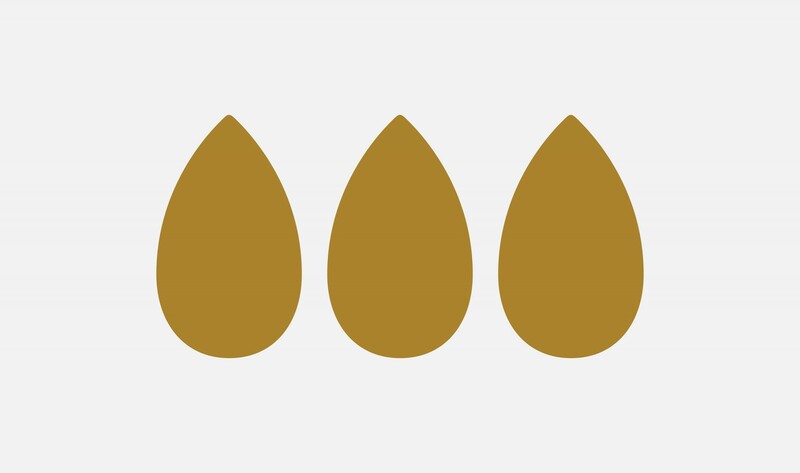 We established three colors for this brand: Off-white, gold yellow, and blue. 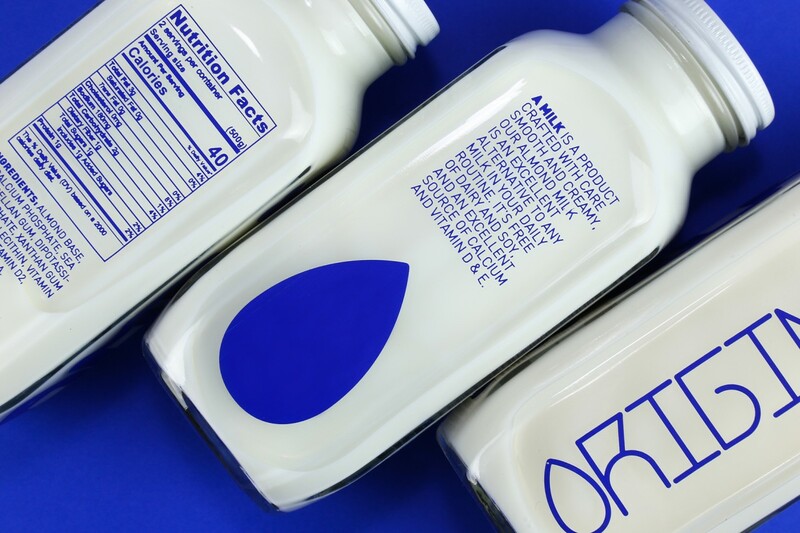 Off-white is inspired by the color of creamy almond milk, gold yellow is a representation of the almond nut, and blue is a nod to labels commonly found on traditional milk packaging. 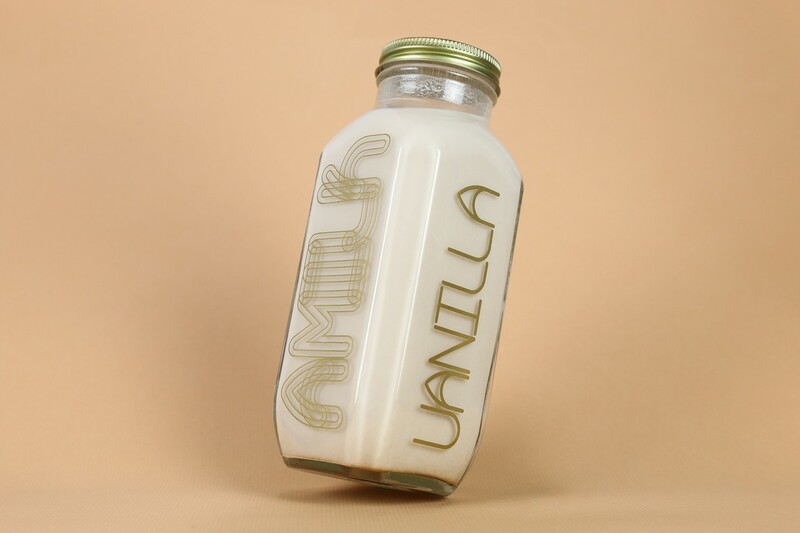 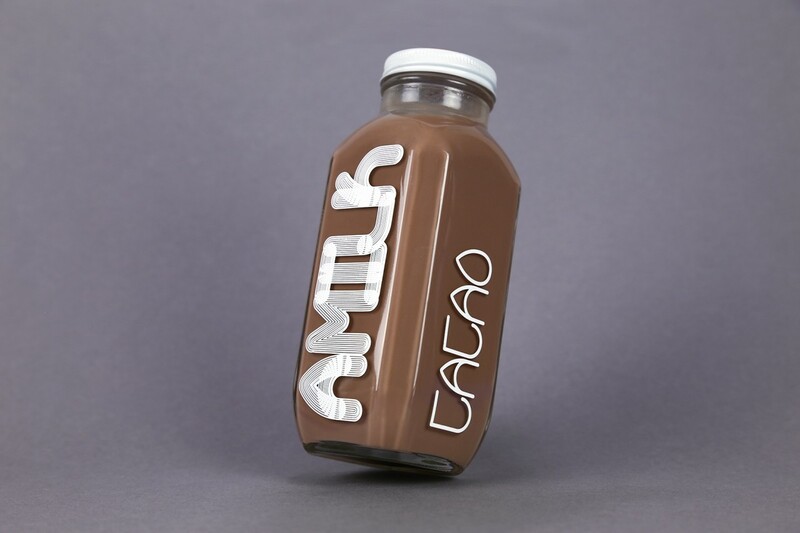 AMILK comes in Original, Vanilla, and Cacao. 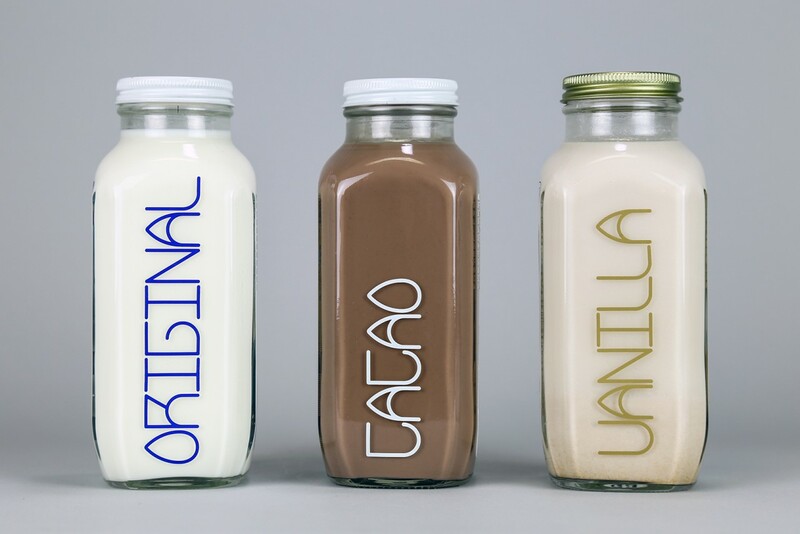 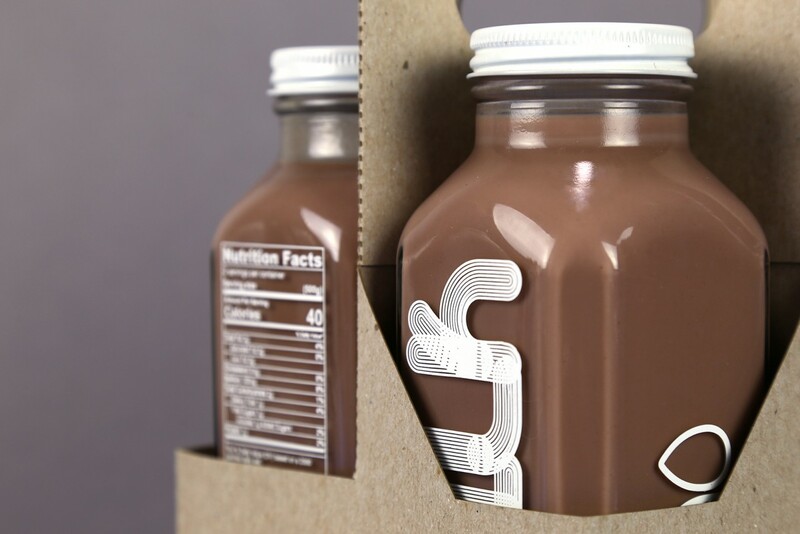 Each flavor is packaged in a 16oz glass French Square dairy bottle, with a custom-made cardboard 4-pack carrier, made from recycle material. 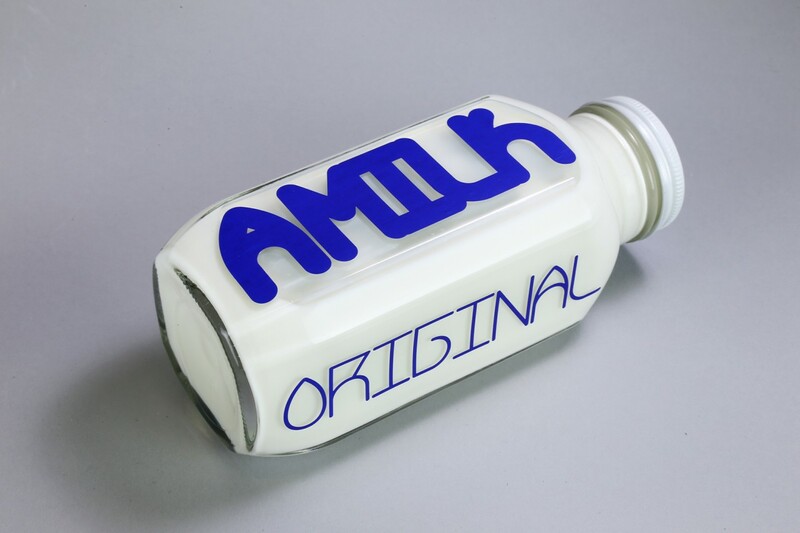 The French Dairy Square bottle is selected for its friendly shape, in the same time being unique, making the brand stand out against the sea of plastic bottles. 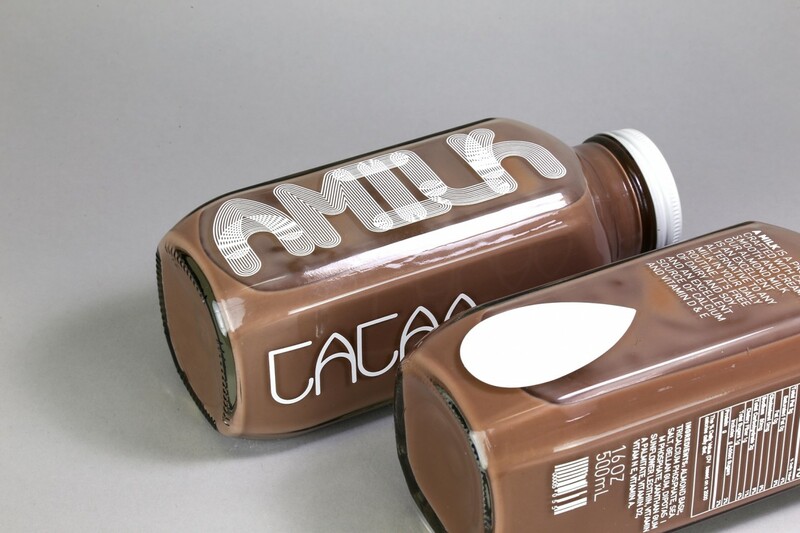 The aluminium caps and direct printing on glass emphasize the authenticity and craft of the product.